The Vikings invaded Britain on two separate occasions: the first, they pillaged and plundered and were generally as people imagine them today, and the second they came to stay, and set up settlements to live in. 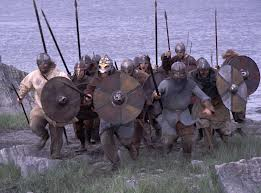 The first Viking age was in the late 700s ad. During this time there was a Christian Priory in Northumberland, on Holy Island, called Lindisfarne, where Eadfrith, the Bishop of Lindisfarne, made a beautiful book of gospels. They were absolutely stunning, with carpet pages punctuating the script, which was all written in Latin. This was because the Christian faith was spread by the Roman Empire, so Christian teachings were done in Latin, right up until the mid 20th century. The book would have stayed in Lindisfarne, if it weren’t for the Vikings. They fled Lindisfarne, taking the most sacred and valuable items with them, of which the Lindisfarne gospels were an important item. The gospels then landed themselves in the hands of Aldred, the Minster of Chester-le-Street, in around 970. What Aldred did then was controversial, but is one of the greatest gifts historical linguists have received. In spite of taboos surrounding translating holy texts, Aldred added an Anglo-Saxon translation in red ink beneath the original Latin. 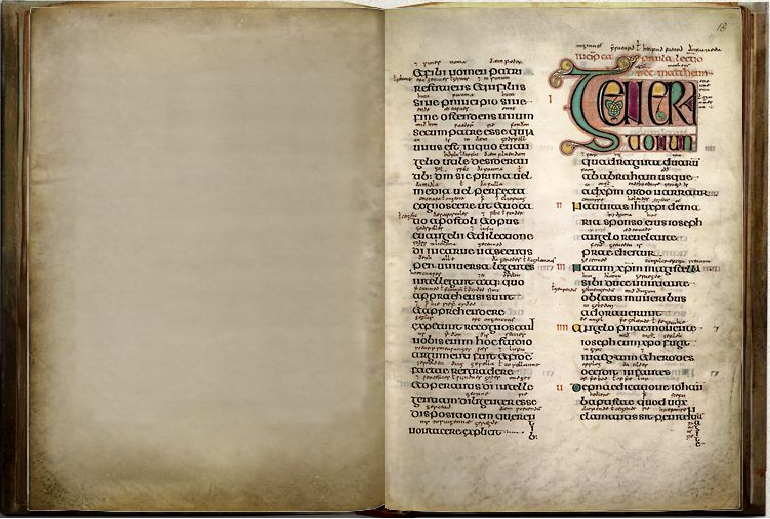 This makes the Lindisfarne gospels an incredible resource for linguists – not only is it the oldest surviving version of the gospels in any form of English, but it also exists directly alongside a translation, leading to few doubts about the meaning of words. The majority of Old English texts are written in Old West Saxxon, as this was the dialect spoken in the area where the Vikings did the least harm. 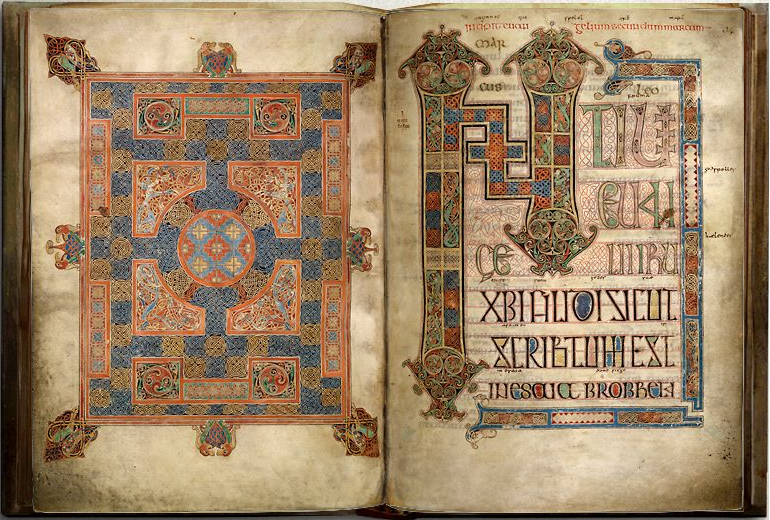 The Lindisfarne Gospels are written in Old Northumbrian. As they are one of the few surviving texts written in this dialect, they are invaluable in our knowledge of the history of it. 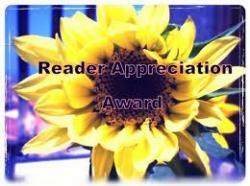 Bear with me…this comment starts out slightly off topic…I will get to the good stuff near the end. I was raised a Christian, but was never particularly good at it. I spent a considerable amount of time looking at a variety of faith systems in my search for meaning and my beliefs are now quite eclectic – and generally Pagan. In my search, I found that the core values of the major religions of the world are very similar. When you really get down to it, they provide guidelines for how to live with others; how to be a good person. It may not be my place to do so, but I take issue with the way the Bible is used (sometimes misused) by the plethora of Christian sects – purely because of the number of translations and interpretations that have been applied to it through the centuries. The literal fervour with which the current versions are followed baffles me. I do, however, accept the Bible as an historical record. It has been the constant companion of Christianity and Judaism for centuries and I find these gospels fascinating as a reflection of that period in history. The beauty of the illustrations, the passion that drove Eadfrith to recreate them, the spirit of sharing and communication that inspired Aldred’s translation…and all before the invention of the printing press. Amazing! I find myself wishing I could read Latin or Old Northumbrian, or both! I think this passion is wonderful and envy anyone who can have such faith. It’s a beautiful text – you can see the rest of it here: http://www.bl.uk/onlinegallery/sacredtexts/ttpbooks.html (it’s the third one down). There is just one thing which I feel I must ask about. Every time I see “Basque in my awesomeness”, I wonder whether you are joking or whether you had a momentary lapse from your usual linguistic accuracy. I would have used a homophone here! Until last week I was living in the Basque region of France, so it was a joke! I’m glad about that! Thanks for the explanation. If I remember correctly, I saw them when I visited the British Library. They have a great museum there.